Rhinoplasty is one of the most common procedures performed, and it can also be one of the most difficult. Along with his other Rhinoplasty procedures, Dr. Chan offers revision Rhinoplasty for patients who are in need of improvement following a previous rhinoplasty or even a minor touch-up. This surgery is designed to improve the balance of your face and to achieve a natural looking, functional nose. How is Revision Rhinoplasty Performed? To see which method is right for your revision Rhinoplasty needs in Lake Oswego, call Reviance Portland® to schedule your consultation today. What Can I Expect After Revision Rhinoplasty? Following your revision Rhinoplasty surgery, you will notice bruising and swelling. Dr. Chan will apply an external nasal splint to help with recovery. Be sure to carefully follow post-operative instructions for a speedy recovery. The cost for nose surgery will vary depending on your personal needs and aesthetic desires. The staff at Reviance Portland® will be happy to discuss all of your pricing and financing options at your initial consultation. It is your obligation to determine if your insurance provider will cover any cost of your surgery. 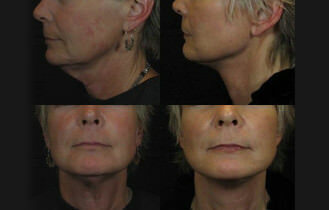 Click Here to See our Revision Rhinoplasty Before and After Photos!